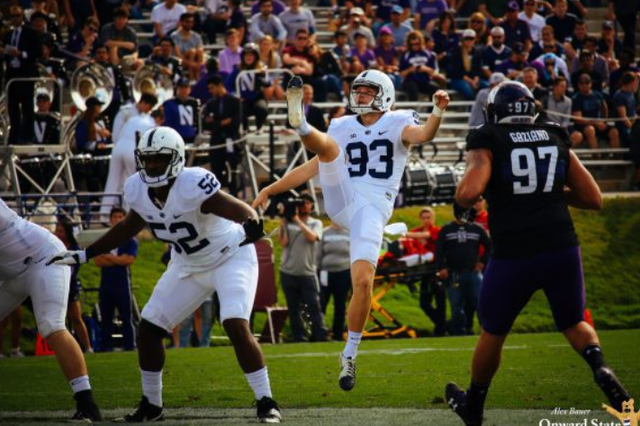 Ranking punters might be the epitome of offseason conversation, but Penn State's Blake Gillikin is certainly among the best the Nittany Lions have ever had. In terms of the numbers his 43.0 yards per punt average is second best in program history behind Jeremy Boone who averaged .1 more yard per punt. So if you're into rounding, well then Gillikin is the best. And it looks that way, his punts are special. It's a very Big Ten thing to marvel at the distance and power that a punter puts on display, but if Penn State's offensive dominance has a down side, it's that Gillikin spends a lot of time being very good at something he rarely has to do. Why is he so good at it though? Punting is mechanical, and like anything else it requires athleticism and actual skill to send a ball 45 yards spiraling through the air for five seconds, but what makes Gillikin good at it? Well for one, he actually likes it. "I think part of it, first of all you have to be naturally gifted with your whole leg swing and hip mobility and stuff like that, so not just anyone on the street can just come out and learn how to punt," Gillikin said on the phone Wednesday. "I was gifted from my parents a little bit, they both swam collegiality so they both gave me a little bit of leg strength which was awesome, I appreciate that from them. And also I think just working on it for so long, I really developed a passion for it. I've seen guys who come to kicking camps and you can tell they don't really have a passion for kicking." Perhaps what Penn State has benefited the most when it comes to Gillikin is consistency. Nittany Lion punters of not too long ago would send fans for shelter as the occasional punt went farther into the stands than down the field. Gillikin isn't perfect, but you won't have to cover your drink either as he swings his leg. "Punting is really frustrating," Gillikin added. "If you do a little something that ball won't spiral and 10 times in a row and you'll throw in the towel for a week. I think you have to be patient and I think I've developed a really good patience for it and you really need that to be successful." There is the question of boredom though. 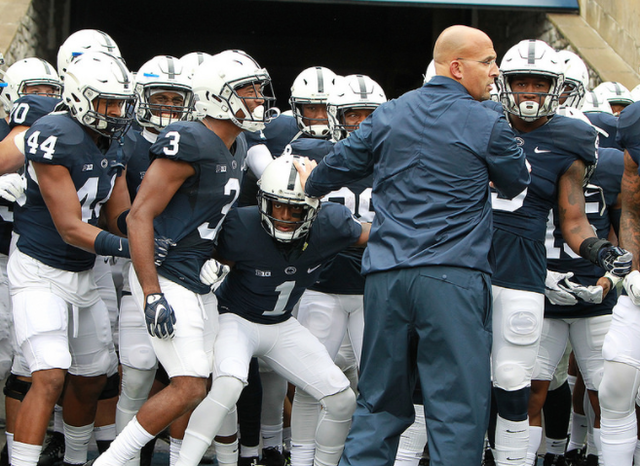 Gillikin spends a lot of time just standing around watching his team score and win and in reality the fewer times Gillikin has to do anything the better off Penn State is. So how do you contribute to a team that in a certain sense doesn't need you all that often? With the departure of Tyler Davis there is a void to be filled and only a few options to do it. James Franklin says he doesn't want to give Gillikin more than he can handle, but once not too long ago that was all Gillikin wanted to do. "Back I think and ninth grade and before I wanted to be a kicker," Gillikin said. "I played another position, quarterback and receiver and also kicked. And I really saw myself as a field goal kicker. I never really tried the whole punting thing, I did it on my eighth grade and ninth grade team, I wasn't really great at it, just kicked the ball far and it was really a knuckle-ball. So I really wanted to be a kicker until about sophomore year of high school, we had a really good field goal kicker Harrison Butker, he kicks for the Chiefs now, he was a senior when I was a freshman." "I started punting my sophomore year on varsity and never really went to a lot of camps to be honest with you. I watched a lot of instructional videos in my spare time actually, I started training with a group called One on One Kicking down in Atlanta, I think probably the start of my junior season and that was when I really realized that punting was probably going to be my future and kicking wasn't really. I hadn't kicked my sophomore or junior year because our kicker was still there, so I got to focus a lot really on punting and really developed a passion for it." And that passion appears to have paid off.